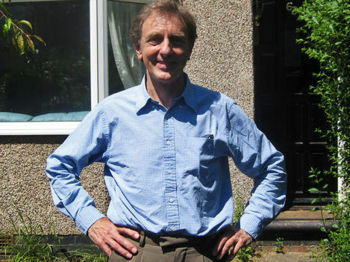 Professor Colin Blakemore is a British Neurobiologist at the University of Oxford, who has specialised in vision and the development of the brain, has published hundreds of scientific papers, a number of books and talks regularly in the media on these subjects and various related topics. Colin Blakemore is a supporter of the use of nonhuman animals in medical research, recently arguing that animal experimentation is virtually the sole use of animals that can be morally defended on the grounds that such use is the ONLY one not done for pleasure or personal gratification. He has not participated in such experimentation in more than a decade and is known to have been horrified by fishing, to be opposed to hunting for sport and cosmetic testing on nonhuman animal subjects as well as viewing circuses and zoos unfavourably (see this video). In 1992, along with Les Ward, then director of Advocates for Animals, Prof. Blakemore was a founding member of The Boyd Group, an independent think-tank concerned with the ethics of experimentation on other animals. The group’s claimed objectives included reviewing the role of institutional ethics committees, refining laboratory animal use, the use of animals for testing cosmetics, genetic engineering, the use of non-human primates, and the use of animals in testing household products. Speaking in The Observer in 2003, and in the spirit of The Boyd Group, Blakemore has said: ‘I believe in openness and dialogue’ and it is in this vein that he has agreed to participate in a wide-ranging discussion with ARZone. Realising the controversy inherent between animal rights and the use of other animals of experimental test subjects, ARZone hopes to bring further understanding of both sides of this controversy to a wide and varied audience. ARZone: Welcome Professor Blakemore. Despite the threats to your own safety, you have remained an advocate for open discussion about science and vivisection. Why is this so important to you? Colin Blakmore: When I was first targeted with criticism of my research, and later threats and physical attacks, my fellow scientists just told me to keep my head down, on the assumption that the problem would go away. But I was offended and appalled by the things that were said about me and I thought that not responding to them would imply that I accepted them. So, I decided to try to engage, to answer the criticisms and to explain why research on animals, although unpleasant, is important for the future health of people and other animals. If scientists are to be believed and trusted by the public, they must be open and transparent in discussion about what they do and why, even when they are criticized. I think that’s true for all areas of science, but especially fields that raise sensitive ethical questions. Realizing that you’re not a philosopher, but understanding your work in neuroscience, do you have an opinion on the idea of sentience and its importance relative to the moral consideration of other beings? Obviously, sentience is centrally important in the ethics of our relationship with other animals. You’re right: I’m not a professional philosopher, but you don’t have to be a philosopher to know that it’s wrong to cause pain and suffering. Of course, you can’t ever be absolutely certain whether other organisms (even other human beings) have conscious experience like your own. But being uncertain about the nature of animal consciousness isn’t a licence to do anything to them. Exactly the opposite. The only morally defensible position is to assume that other species are sentient, even though the extent and nature of their experiences might be very different from those of human beings. In an influential documentary from the 1980s, The Animals Film, animal experimenter Roger Ulrich expresses deep regret for the pain and anguish he inflicted on nonhuman animals he remembered as individuals. Have other animal experimenters expressed anything like such regret to you in their own cases of using animals? I’ve heard many researchers say that they dislike having to use or kill animals in their work. And, honestly, I’ve never met a researcher who actively enjoyed using animals. I’ve said very publicly that I disliked it intensely and I was very pleased when I gave up animal experimentation about 7 years ago. I’m not saying that I wish that I had never been an animal researcher, nor that I regret the work that I did, but I would have been happier if I had not had to use animals. We’ve all seen the terrible videos of the extreme abuse of other animals – such as a young beagle being punched in her face, mice having their toes cut off to identify them, a rat being killed by having his neck broken on the edge of a table – in laboratory settings. Those of us in the animal movement see these rights violations, and certainly everyone would consider each of these actions a rights violation if a human being was the victim. Some claim these videos show isolated examples of abhorrent behaviour. Isn’t it more likely the case that this kind of abuse of “scientific models” is inherent? After all, institutionally, these not-human beings are systematically reduced to the status of “things” in deeply speciesist societies. It’s important to distinguish between gratuitous acts of harm to animals, which are illegal and totally unacceptable, and legal procedures that look awful in a brief video, without information about the rationale for what is being done and why. Punching a dog is illegal: I expect that you are referring to the film of a technician at Huntingdon Life Sciences. When that was broadcast on TV in the UK, the first organization to call for legal action to be taken against the technician was the Research Defence Society (a charity that represents the interests of animal researchers). You will know that that individual was dismissed from HLS, his Home Office Licence was revoked and he was sentenced for the offence. Now, I’ve never heard of toe clipping as a way of identifying mice, but it might be a legally sanctioned procedure. Ear clipping certainly is and although it sounds pretty horrible, mice and rats hardly react to it and show no response that looks like suffering. The approval of these kinds of techniques is based on an assessment of the actual, measureable pain and suffering caused to the animals (and a comparison with other possible techniques). Despite all the legal sanctions, the training, inspections and other precautions, there are, I guess, bound to be infringements of this sort, in the same way that no crime is absolutely preventable. But I really believe that cases like the HLS incident are very rare and, if discovered, are treated just as seriously by the scientific community as by the animal rights movement. I don’t know the video you refer to showing “a rat being killed by having his neck broken on the edge of a table” but dislocation of the neck, which virtually instantaneously kills a mouse or rat, is legally accepted as one of the most humane ways of killing a rodent. I know that it sounds and looks horrific but if a rodent has to be killed, it is generally accepted that this is the least unacceptable way of doing it. It’s certainly less likely to cause suffering than rat poison or a mouse trap. I guess that you would say that people who employ such methods to try to rid their homes of rodents are infringing the rights of rats and mice, but I think that most people would find those techniques acceptable to eliminate a threat to the health of them and their children. Now, of course, everyone in their right mind would find such acts abhorrent if performed on human beings. ‘Human rights’ is a legally convenient way of capturing that generally agreed moral principle. I, and many other people, have criticized the word ‘rights’ and suggested that the principle would be better expressed in terms of the universal responsibilities of humans to each other. Frankly (and I suspect that we’ll just disagree on this) I don’t accept that any other species has precisely the same rights as human beings (any more than we would extend the right to drive a car or vote or go to university to any other species). I know that the term ‘speciesist’ is intended to be pejorative. I know Richard Ryder (inventor of the word) quite well and we’ve spent time discussing this. But I accept that I’m ‘speciesist’, in the sense that I believe that different moral worth attaches to different species. Genetically, morphologically and cognitively, we are distinct from even our closest animal relatives, the great apes. No-one would accept any other species as being just ‘the same’ as human beings. In particular, no-one would dream of expecting other species to exercise responsibilities towards human beings. So, I’m afraid that I don’t accept that animals have rights – certainly not the same rights as all humans. But that doesn’t mean that I think we have no responsibilities towards animals. We have legally binding and morally binding obligations towards animals. But to suggest that animals are precisely the same as humans in moral worth doesn’t make sense to me. It’s an old philosophical chestnut, I know, but it’s worth asking: “If you had the choice of saving the life of a child or a rat, which would you choose?” I’d be very surprised if you said “The rat” or even that you would toss a coin. The fact that you would save the child surely means that you attach more worth to its life than to that of a rat. That doesn’t mean that you would deliberately want to hurt a rat or that you think that it has no value. It’s just a matter of ranking. And I don’t think that any other species (even great apes) can be thought of as having exactly the same rank as humans. A typical defense of animal use in research turns on “necessity,” it is essential…But this is misleading. We can’t argue that animal use is necessary IF necessary is reasonably defined. It is implausible to argue that any instance of useful animal research was necessary in the sense that, strictly speaking, *only* through animal research could we answer question X. How necessary is generally used, rather, is by implicit reference to existing legal, ethical restrictions, i.e., we could use human beings (and probably get more reliable data), but it is illegal or unethical; in which case the claim of necessity is. So until we resolve the relevant ethical questions, the public debate surrounding animal research is always kind of muddied from the beginning. Animal research isn’t necessary, strictly speaking, it is a choice. Would you agree? Well, I don’t think that animal research is necessary in the sense that the world will end tomorrow if animal research stops. But it has certainly been the only available way of making very important discoveries – about both normal bodily function and the causes and treatments of disease. So, unless and until there are other methods that can lead to the same progress, the choice is to continue properly regulated animal research or neglect the progress of knowledge. Animal research is a choice, but one that the majority of society accepts is necessary, in these terms. But isn’t that precisely the point? It isn’t necessary the way you are using the term. It is a choice, laden with important moral questions that we are just assuming are given. We are pretending, that is, that it is ACTUALLY necessary the way you are using the term. And this muddies the public debate. Let’s be honest: it isn’t necessary; it is a choice. And the animal rights challenge is this: defend that choice without pretending that it is, strictly speaking, necessary. I certainly agree that pressure from those who say we simply MUST do animal research can’t be allowed to swamp the moral debate. There are some things that we might do that could provide valuable information but which shouldn’t be done for moral reasons. However, there would be no reason to discuss the CHOICE to do research on animals if there were not arguments for the value of doing that research. So, perhaps we should talk in terms of value or utility rather than necessity. In a 2010 BBC Radio 4 interview, you mention that some animal experiments involve no pain or suffering because the test subjects are anaesthetised throughout and are killed while still unconscious. As a purely practical matter, does not the logic of animal experimentation suggest that human orphans be used instead? Practically speaking, and putting aside ethical consideration, the results of human experiments would be more relevant than the results from nonhuman animals. Less subjects would be needed overall and useful results would come quicker. Isn’t this the reason the “allies” were so keen to get their hands on the Japanese and German data after WWII? I don’t think that Japanese and German data (I presume you mean from experiments on unwilling human subjects) were eagerly sought by the allies! Just the opposite, as far as I know. The results of those studies are never cited and have been virtually expunged from the scientific record, I think. But, to tackle the main point of your question, I do accept the use of animals in research, but I find the idea of using humans (whatever their age or their mental or physical status) as unconsenting subjects utterly repugnant. This gets back to the question of moral worth, which I tried to tackle in response to a question above. But it is worth saying that in research on the development of treatments for disease, experiments on human beings (clinical trials of one sort or another) are absolutely essential. to test the risks associated with any possible treatment, so as to be reasonably confident that the human subjects in subsequent clinical trials are not being put at avoidable risk. There has always seemed to be an inconsistency in rationales for using animals in medical research: one, that animals are like us in how their bodies function so they make good subjects and two, that animals are unlike us so that it is acceptable to use their bodies against their will. The basis of this argument is a belief in human exceptionalism, yet it would seem if humans were truly exceptional, they would find alternatives to such blatant exploitation of the innocent. From a justice perspective, how do you accept vivisection as fair? I’ve dealt with some of this in my answer above. I believe vivisection to be fair in the sense that we have greater obligations to our own species than we do to others. Of course the use of animals would be morally unjustified if there were alternative methods available that were just as reliable and effective. And, in most countries with well-developed legislation on animal experimentation, it’s illegal to use an animal if an alternative method exists. I do believe that humans are exceptional (the very definition of a species implies that it’s an exception from all other species). But being exceptional doesn’t mean that you can work miracles. We have an obligation to search for alternatives to animals. But unfortunately many aspects of cell and organ function are so complicated that it’s very unlikely that we’ll ever have alternative approaches that are as complete and reliable as the study of animals. Finally, can I make the obvious point that those who are opposed to animal experiments are also often inconsistent. They argue that, on the one hand, animals are so different from humans that none of the results of animal research are relevant to humans (untrue!!) and that drugs developing on animal ‘models’ are nearly always dangerous for humans; but, on the other hand, animals are so similar to humans that we should treat them as morally the same. You are on record saying that you know of several animal experimenters who have been vegetarians and you once saw a “Vegetarians for Animal Research” banner. It was claimed recently that you had been a vegetarian for the duration of a BSE scare, and you have said that you “do not eat mammals” as a general matter. You have argued that the moral defence for animal research is strong the one for humans eating nonhuman animals is weak. It seems then that you believe that flesh consumption cannot be ethically defended, or else its justification is on shaky grounds. Given all this, have you never considered consistent vegetarianism (veganism would be much better of course)? There are lots of reasons for not eating mammals. BSE was a pretty good reason for not eating beef, and I haven’t eaten beef since the first newspaper reports of BSE! But there’s lots of other evidence that over-consumption of meat isn’t good for you. There are also the moral arguments: much commercially available meat comes from animals that have had pretty wretched lives; and mammals have complex nervous systems and almost certainly suffer if they are treated badly. The totality of these arguments make me unhappy about eating mammals and I certainly think that eating animals is harder to justify morally than well-regulated research on animals directed at advancing knowledge and reducing human and animal suffering. A complete vegetarian? I haven’t quite got there. I have to confess that I enjoy eating fish and shellfish. And I hope that they don’t suffer. A common complaint within the animal advocacy movement about the experimentation carried out on nonhuman animals is that a significant percentage of those experiments are trivial and continue only in order for the experimenters to receive the ample grant money available. Do you agree this is occurring, and if so, is it right that it should be? All scientific research needs funding. So, to say that researchers use animals only to obtain grants isn’t fair. A bit like saying that astronomers use telescopes only to obtain grants. I don’t know any country in the world in which there is sufficient money to provide grants for every project that researchers propose. I was the Chief Executive of the Medical Research Council and our award rate was about 10-20%. So, I don’t think that much literally ‘trivial’ research gets funded. Of course, not every project works, in the sense that it results in really significant discoveries. You seem to suggest that researchers propose trivial research on animals because it’s easier to get grant money for animal research. But there’s no evidence that research on animals is less productive or successful that any other area of science. In an article dated 28 February 2008 in the New Statesman, Sholto Byrnes says, referring to and quoting you: “He prefers to reframe the whole debate, to talk of responsibilities, rather than rights ‘The reason why I don’t mistreat my own cat is not because it has some kind of rights. It’s because I try to be a decent person. Our primary responsibility is to our own species.’” In light of this, would you explain your own contributions to work done on animal ethics? In other words, are you concerned with our responsibilities relative to HOW we are justified in using other animals, or on WHETHER we have the right to use them in the first place? Again, I’ve tried to deal with some of this in answers above. You ask whether we have the right to use animals in the first place. Well I don’t see the use of animals in any way (eating, circuses, beasts of burden, experimentation etc) as a ‘right’, but rather as an action of human beings to satisfy their own needs, which needs to be morally justified. I believe that the use of animals in well-regulated, well-conducted research, aimed at maximizing the benefit in knowledge and minimizing any suffering to animals can be morally justified. I’m less convinced that there is adequate moral justification for some of the other uses of animals. In the June 2002 Boyd Group paper “The use of Non-Human Primates in Research and Testing” there is this quote: “The statement does not preclude arguments in favour of special moral status for other, non-primate, species (but the focus of the present discussions is on evidence about non-human primates). Nor does it preclude future agreement within the Group that the ban on use of apes should be extended to particular monkey species (and perhaps all non-human primates) – should further evidence, judged less contestable, mark any of these species out as closer to Great Apes and/or more strongly different from other species in their potential for suffering.” This appears to suggest that our current use of other animals is justified on incomplete knowledge which is subject to further elucidation. Isn’t it possible then that one day we may look back on all animal experimentation with regret? I was a member of the working party of the Boyd Group that wrote that report! I must say (and you can see it in other answers) that I’m not happy with the ‘ban’ on the use of great apes (despite the particular sentence that you quote). I believe that the utilitarian philosophy (cost-benefit analysis) that underpins the law on animal research in the UK (and many other countries) deals well with the question of research on non-human primates, including apes. The ‘cost’ must include an assessment of the potential for suffering and advanced sentience, and non-human primates are high on those scales. Anthropoid apes are high on many other scales as well – including being endangered. All of these arguments mean that any kind of cost-benefit analysis would rule out the use of great apes, and that a formal ‘ban’ isn’t needed. However, it is conceivable that if humanity were faced with a new plague for which research on apes appeared to provide a route to preventing the disease, perhaps the cost-benefit equation would tip and research on apes would become justified. A total ban erodes the clarity of our moral distinction between humanity and the rest of the animal kingdom (not that you would be unhappy with that, I suspect!). Is it possible that “one day we may look back on all animal experimentation with regret?” Well, perhaps – in the sense that there might conceivably be advances in knowledge or technique (e.g. the development of alternatives) that would mean that some research of the past could be done in different ways, or would be deemed unacceptable. But that wouldn’t mean that it wasn’t justified at that time. The first complete human DNA sequence cost billions of dollars and took many years. The same can now be done in a day at a cost of about $10,000 or less. But surely this doesn’t mean that the original Human Genome Project was too expensive or took too long. I think that it’s more than ‘legal reasons’. There are body functions for which non-human primates offer the best, perhaps the only model. This is particularly true for drugs that affect the immune system, and many new drugs are antibodies. You have said that we have responsibilities towards members of our own species (humans) that we do not have towards members of any other species. What special attributes do ALL humans possess that NO members of any other species possess which means they deserve this special status? Well, the attribute that’s important, both biologically and legally, is simply that they are humans. That is, they share the same DNA and differ significantly from the genetic make-up of other species. That is a very simple characteristic to define. Humans just belong to a single species. So, here we are: back at the speciesist argument, I’m afraid. T. Colin Campbell, Professor emeritus of nutritional biochemistry at Cornell University, in his article “It’s Time for an NIH Institute for Nutrition“, posted: July 9, 2010, writes: “Unequivocal evidence now exists to show that nutrition, when provided by the use of whole, plant-based foods, can control the expression of our mischievous genes that otherwise would lead to serious ailments such as heart disease, diabetes, certain autoimmune diseases and many lesser ailments. There is no other strategy in contemporary health science or medical practice that comes close to the breadth and depth of health benefits achievable by nutrition. We must begin to understand, communicate and apply this knowledge if we ever hope to reduce health care costs by reducing the burden of disease. We will never do this by depending on outmoded notions of what single (or even a few) genes, single nutrients (i.e., drugs) will do to create health. That thinking generates wealth for a few at the expense of health for the many. It is time to recognize the natural and harmonious biological complexity of health processes, and choose the lifestyle strategy that best maintains and restores that harmony. Nature has had eons of time to work this out. It’s also time to develop a professional science of nutrition that serves the biological health of the population, not the economic health of commerce. As for health professionals who claim they cannot convince patients to change their dietary practices, this is not surprising when the professionals themselves are not educated in this field and are vested in a strategy that is the antithesis of good nutrition.” Would you respond to this? There’s a good deal of it that I agree with. There’s certainly a lot of epidemiological evidence that eating lots of red meat isn’t good for you. But, interestingly to fish eaters like me, there’s some evidence that a fish diet is actually better than a purely vegetarian diet is reducing the chances of getting bowel cancer. Eating meat, however, has been very important at stages in human evolution, because of the rapidly digested, high-energy nutritional value of meat, especially cooked meet. And the fact is that most cultures prize meat as a special treat in their diet. However, the crisis in food supply in the world (resulting from population increase and climate change) should make us look again at our priorities. I think that there are lots of reasons (quite apart from the animals rights arguments) to cut down on meat consumption in the world. The information at that link refers to Carpolestes, a pre-human species living 60 million years ago. That species was fruit eating, but the record shows a shift to an omnivorous diet from perhaps 5 million years ago. The discovery of fire (Homo erectus), maybe 2 million years ago, made it possible to cook meat, making it more rapidly digestible. The record appears to show low-yield scavenging in the context of male displays, not for purposes of provisioning. Paleoanthropologists say that this was an important step in liberating humans from time spent searching for a vegetarian diet, and might have been especially important in supporting the emergence of a large brain. Although animal testing has its purported benefits surely working towards a type of testing based on a “Human model” (but not an actual human) from the very beginning of a new drug would be the overall aim of medical science? From an insider’s perspective do you feel that scientists and pharmaceutical companies are doing enough to find new means of testing medicines without the use of non-humans animals, and if not why not? Complacence, cost, etc.? I’m not sure what would constitute a ‘human model’ that isn’t a human being. Animals are, of course, used as ‘models’ of both normal function and disease. But no animal model is perfect. It would be lovely to have, say, a massive computer program that mimics every human function. And researchers are indeed working on the ‘systems biology’ of human function. The problem is that it’s hard to imagine making a complete computer model of a human, without knowing everything about a human – in which case we wouldn’t need the model! I don’t think that there’s resitance to alternatives in the pharmaceutical industry. Indeed, that’s where there’s been most success in developing alternatives. Animal research and testing is extremely expensive. Drug companies, grant agencies and researchers would love to be able to do the same work at less cost! The legal constraints are a significant factor here, though. Drug companies have to do all that they can to demonstrate safety, and most regulatory agencies require animal tests. Companies are also reluctant to ‘cut corners’. Not testing on animals could leave them open to neglect claims. Given your own moral distinction between the meat issue and the research issue, do you think animal scientists doing animal research in support of the livestock industry to make animals more productive and the industry more profitable, the sort funded by DEFRA or the BBSRC or directly from industry, are as deserving of research funding as biomedical scientists? That’s a difficult one. But as long as eating meat is legal and it constitutes a significant part of most people’s diets, then there is an imperative to make meat production as efficient as possible, balanced against moral constraints. In any case, research in this area doesn’t compete directly for funds with medical research. You have noted that, in most countries with well-developed legislation on animal experimentation, it’s illegal to use an animal if an alternative method exists. You have also agreed that “We have an obligation to search for alternatives to animals.” But don’t we have “an obligation to search for alternatives to animals” in ALL areas of our social and ecological relationships with nonhuman persons? How can we make PUBLIC acceptance of that moral obligation to search for alternatives to using animals (not only in science, but also in diet and lifestyle) a global and universal agreement? I do believe that there is a moral movement towards seeking alternatives to animals. Exploitation of animals for labour has largely disappeared in the developed world. Circuses have largely abandoned live animals acts. Much less fur is worn. Fox hunting has been outlawed in the UK. So, there is a thread of concern about all these areas of animal use. I’m sure that the movement isn’t fast enough or radical enough for you, but the trend is undeniable. Since nonhuman animals are legal property, is it not false to claim that the state will actually protect their interests (such as in avoiding suffering or continuing to live) when such interests conflict with human owners who have property rights to treat them as economic commodities – for food, clothing, experimentation, entertainment, and other forms of speciesist exploitation? I’m not a lawyer, but don’t think that ownership negates responsibilities. Farm animals and pets are ‘owned’ but it’s still illegal to mistreat them. In fact ownership makes responsibility more easily defined in the law. Animals that are owned are more easily protected against abuse than feral animals, simply because responsibility is defined. If you were to stop eating all forms of meat, would that entail you accepting that any form of animal testing is wrong? Do you feel this is what is stopping you from becoming vegetarian or vegan? No, I think that it is possible and reasonable to put different uses of animals into different moral categories. I am totally opposed to hunting for pleasure. I can just about accept (but am not eager to participate in) hunting for food. I do accept eating animals, although, as I’ve said before, I think that there are lots of reasons not to eat mammals. And I stoutly defend the use of animals in research (even though I wish that we didn’t have to do it) because it’s aimed at improving the lives of humans and animals. I’ve often said that I find it odd that the only use of animals that’s not just aimed at pleasure and gratification (namely animal research) is the most fiercely attacked aspect of animal use. Thank you Professor Blakemore for your time here today. Thanks to you, especially for your civility.